Think back to when you were a kid. You didn’t worry about where you would live, buying groceries, paying bills, or finding a doctor. Your parents took care of those things All you had to do was play and have fun. A child’s life is so uncomplicated until it gets mucked up. With too many activities, to manage, too much pressure to succeed, and not enough time to be just a kid, life becomes a complex maze. . And sometimes this’s the way we write. Our stories get complicated when we over think and over write the piece. Even though we have a plot line, we know the beginning and the end, and we have an idea of how to go from point a to point z , we’ll still bury the characters in back story, stifle them with orations, and baffle them with details. When the story is completed we have a ton of complicated plots, unnecessary information and complex phrases. The story is tedious, the pace slow, and the characters made of cardboard. What happened? Simply put, we made a simple story complicated. I don’t spend tons of time researching every detail I think I might need. I cannot force myself to outline each scene and stick to the plan even when the plan is falling apart. I’m a “pantser”. I fly by the seat of my pants, and so do many of my writer friends. Pantsers have character sketches, jotted notes, and maybe a brief time line. We tend to allow our characters to act independently of our control. Believe me when I say some of my best work comes when I let the characters take over and lead me down the road. It may not be the route I had in mind, but often it is better. By stifling the character’s need to play, I complicate the story. Planners, on the other hand, need defined structure to keep the plot moving. Both ways work as long as we discipline ourselves to allow our opposing characteristic to have a say in the process. There are simple steps we can take to keep the work in our respective voices. Don’t over-do the description. Sorry, but two pages of an ode on the rising sun becomes boring in a narrative. Don’t allow technical jargon to over-power the story. Do permit your character to play. Bored children give birth to mischief and a ruined plot line. Do allow your imagination to blossom. Refuse to force ideas to make the plot follow your directions. Do be prepared for rewrites. Think like a child and act accordingly. A little temper tantrum may be the best thing for the story. Good description is a learned skill, one of the prime reasons why you cannot succeed unless you read a lot and write a lot. It’s not just a question of how-to, you see; it’s also a question of how much to. Reading will help you answer how much, and only reams of writing will help you with the how. You can only learn by doing. Voice. How do you have a voice in writing? Voice is an author’s uniqueness. This has to do with word choice and the direction you take your story. I might write with a very formal voice and my characters are very prim and proper, but you might write using more casual words and ideas and your characters more like every day people walking around at the mall. Style is the way you tell your story. This can include punctuation, or the lack of it; where and why a writer breaks for a paragraph; or the length of chapters. It’s no secret that I read a lot of Stephen King books/stories. I can read one page of a story and pretty much tell you if it’s something he wrote or not, even if it’s something of his I’ve never seen or heard about before. And that’s because of his voice and style. However, there are a few of his stories that have surprised me, and in a good way. In fact, one of the reasons I love certain King books over some of the others is because the voice and style is so different. The Shining. I don’t know how many times I’ve said it, but I will continue saying it until I can’t say it anymore. This book is incredible because of the style (among a million other reasons). As a student of writing rules, I can point out where each rule has been broken. But each rule is broken for specific reasons, and it was absolutely done in absolutely the right place at absolutely the right time. There are places in that book where reading the words and the placement or absence of punctuation actually made me feel like I was caught in a whirlpool going down a drain. Amazing illusion! The Eyes of the Dragon. The first time I read this book I had never heard of it. “Hhhmmm,” I said as I took it off the library shelf. At the time I was feasting on the fantasy genre, and that’s where this book fits. I was wonderfully surprised because Mr. King uses a much different voice for this story. He actually sounds a little like J. R. R. Tolkien in The Hobbit. I definitely suggest this book for anyone who wants to study voice and style. Dolores Claiborne. Not so much a shift in voice form Mr. King, but a substantial shift in style. He wrote this story in the voice of a woman, and as a woman myself, I will tell you he did an amazing job of it. But as far as not sounding like Stephen King, well, he does. You see, Dolores is a woman who has a rough and hard demeanor. That’s actually what the story is about. Survival. The thing that makes the style so different is he did not break into chapters. The whole story is told in one long narrative. And, again, that was the right thing to do. There are times when stopping to change chapters is more distracting than anything else. The result is this book is a very fast read, in spite of the thickness of the book. Okay. Now it’s our turn. A couple of exercises here. First, try to write part of your current work in progress in the voice of your favorite author, and the style they use the most. This will teach you to think like they do, which can be very helpful. Next, take a piece of your current WIP and use an opposite voice and completely different style. This will help you decide if you actually have the right thing in the right place at the right time. Now, show off a little bit and post your experiment in the comments below. What is the best way to prepare to write a memoir? Like any other genre, there are numerous approaches to researching and writing a personal story. The following are a few suggestions for getting started. Write from memory. I began writing Tables and First Love Forever Love by drafting chapters based on my memories of events, places, and people. After completing the draft, I’d read and edit the piece, making notes of facts I needed to check. I’d research the missing information, make the necessary changes, and polish the chapter before presenting it to my critique group. I find getting the basics on paper and then filling in details works best for me. Go through family photo albums to get inspiration. Sometimes there is a glimmer of an idea for a scene, but the memories just don’t click. A picture can jog the memory and spark your imagination. With the photograph nearby, the writing flows and soon you have a draft of the chapter. Look for letters, journals, school memorabilia, and yearbooks that might lend insight into your project. My father’s military papers and his notes and writings have been as valuable as I write Tables. Music is a good trigger. Download some of the songs from your youth and listen to them while you work. If you are describing how you met your spouse, sit back and enjoy “your song” or the music played at your prom. If you think you would like to write a memoir for your children and grandchildren, try journaling. I’m not suggesting you write about putting carrots in the crock pot on a daily basis; however, keeping notes about vacations, holidays, and special events will help you when you begin to write your story. Getting started may be the hard part, but once you determine your theme and the events you want to record, the project will move along quickly. The memories will flow and you’ll find yourself laughing and crying as you write. That’s good because those emotions will translate to the writing. Just remember to focus on the reason you are working on the memoir, and let that be your guide. Today’s western genre is not the stereotypical shoot ‘em up adventures from the past that you may think of. You can also find modern stories set in big cities, rural towns, or endless plains; not just mountain ranges. 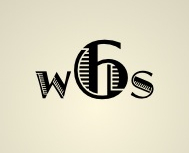 The 650 member strong Western Writers of America includes screenwriters, song writers, historians, performers, poets, novelists, freelance writers, editors, agents—all types of professionals committed to crafting real stories set in the West. Being a part of groups like WWA and Women Writing the West are what inspires me to write. Their stories inspire me. I want to help you understand what it means to be a part of this vast land, how a Texas sky can take your breath away, or imagine what it’s like to stare upon an unblocked view that extends further than you can walk in a day. Sometimes you can’t ignore the stories of your heart. Genealogy is a pretty popular pastime. A lot of people crave to know something about their past, their ancestors, and where it all started. And it’s really interesting to discover where certain traits have come from. I must admit, while I’ve never been interested enough in my family lines to actually sit and do all the research, I enjoy hearing what other people have found about us. I have an aunt who has recently done a little bit of digging and claims my father’s family has connections to John Steinbeck. And, even though John Steinbeck has never been one of my favorite authors, I kind of like the idea of having a distant blood tie to a respected American author—sort of like maybe I inherited my fascination with words. But I have learned an even more heart warming fact during the past few years. As my grandchildren grow up and begin showing their own little personalities, interests, and talents, I have seen some marvelous things develop. They all five like to write stories. I have seen and heard them. They tell stories, they draw stories, they act out stories. And their tales are unique and clever. It’s an encouraging thing to know the writing gene is moving on through you.